The Olympus BX51 microscope was designed for researchers on the look out for equipment that can meet their changing needs. This product is a well-built unit with a lot of options for customization. 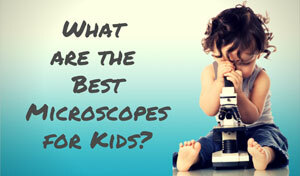 It is by far one of the most versatile microscopes that Olympus produces. All Olympus BX Microscopes are built with the Universal Infinity System (UIS). More than just a fancy acronym, the UIS optical system allows for better contrast and resolution, an expanded field of view, and excellent images. The image quality is evident in the BX51, which has become an extremely highly rated research microscope since its release. The BX51 had been discontinued by Olympus and replaced by the BX53. 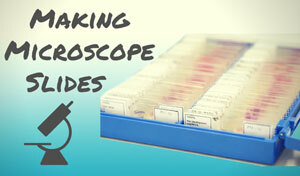 Used BX51 microscopes can be purchased on Ebay. One well-loved customizing option is the ability to take pictures. Digital cameras are very easy to add to this product, although users may want to shell out the cash for cameras with higher resolutions. Low-resolution cameras yield disappointing results, no matter what quality your equipment. Lighting is always a challenge when working with microscopes, but the Olympus BX51 has plenty of options for dealing with that issue. The halogen bulb is a whopping 100 watts, which works great for transmitted light viewing. It also comes with two neutral density filters, a ND6 and a ND25, as well as a daylight balancer. There is even a spot open for an additional filter if needed. The ergonomic shape makes this a very comfortable unit to use. The Y-shape places all of the controls within easy reach, so the user never has to take their eyes of the specimen. It can also accept eight different objective lenses, so that the user can have the perfect view in any situation. Researchers who spend long hours hunched over their eyepieces can really appreciate these features. Despite the many pluses of this Olympus microscope, there are a few things that some might find annoying. One minor issue is that the illumination control lies right behind the stage knob. So until the user becomes comfortable with the unit, they may unintentionally move the stage while trying to adjust the brightness. While we love the large, ceramic-coated stage that works great for protection, the matte finish makes it very hard to clean up any oil spillage. While this isn’t a huge issue, users may want to proceed with extra care if using oil on the stage of the Olympus BX51 microscope. I'm going to assume you're not as clumsy as this reviewer, but use a little extra caution anyway! 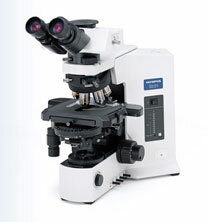 The Olympus BX51 microscope has all the same quality features that a customer would expect from the Olympus brand. It's well made with superior optics, comfortable, easy to use, and very adaptable to meet the changing needs of a research environment. This microscope is technological chameleon. It can be altered even before it leaves the production site in order to better suit the needs of buyers. The BX51 is, of course, priced higher than the average person would want to pay. It was designed to meet the needs of researchers, and it does that very well. 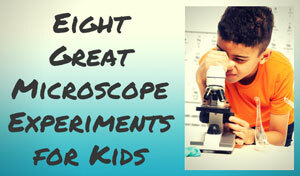 Recommended for: This is not a microscope that a hobbyist or beginner would own. 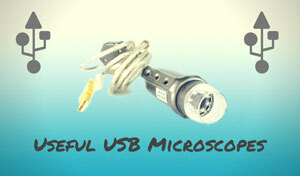 It's best suited for research scientists and those practicing laboratory or clinical microscopy. 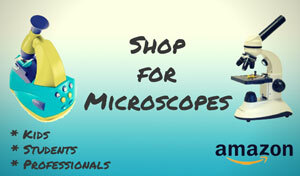 BX51 microscopes can be affordably purchased on Ebay.